Singer-songwriter, who will be performing at the venue on February 22, has had his songs covered by everyone from Bob Dylan to Willie Nelson. 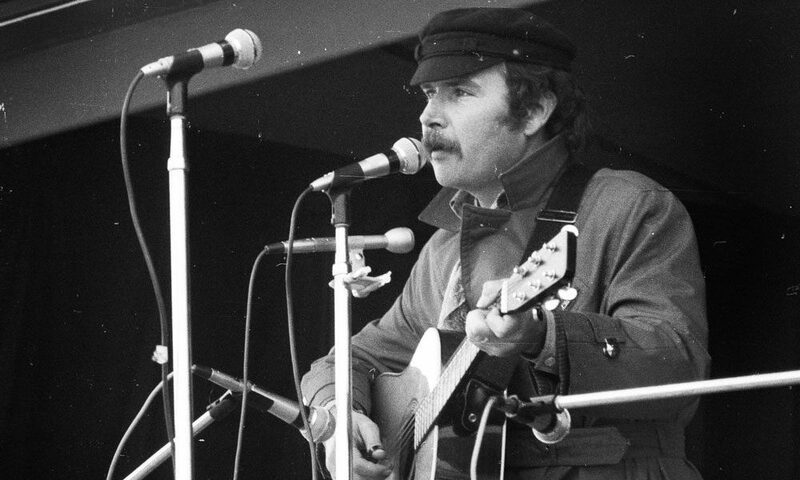 Folk legend Tom Paxton will play Caffè Lena for the 15th time this month. The club’s original owner, Lena Spencer, recruited Paxton to play at the famed venue back in 1960, after seeing him perform in Greenwich Village. At the time, Paxton was 23 years old and the Caffè had only been open for three weeks. “She heard me at either the Gaslight or the Commons, and invited me up, and I said of course!” Paxton says. “I was just a raw beginner and happy for the chance to get up and perform. I was down for that.” He laughs when I ask him how much he was paid for the gig. “I’m sure it was bus fare and $25 or something; it wasn’t much,” says Paxton. As it has been for many artists, Caffè Lena was a springboard for a tremendously brilliant and important career as a songwriter. Paxton went on to become a major name in folk music, playing solo shows at New York City behemoths like Carnegie Hall and Town Hall; and Festival Hall in London, to name a few. Music luminaries such as Bob Dylan, John Denver and Willie Nelson have all covered his songs. And among a number of other awards he’s received from everyone from the Folk Alliance to the British House of Commons, Paxton also received a Grammy Lifetime Achievement Award in 2009. He’s very modest about all the various accolades. “I think if you live long enough, they just give them to you,” he says.